SPEJJER PLUS LOOKINa AT PINS. 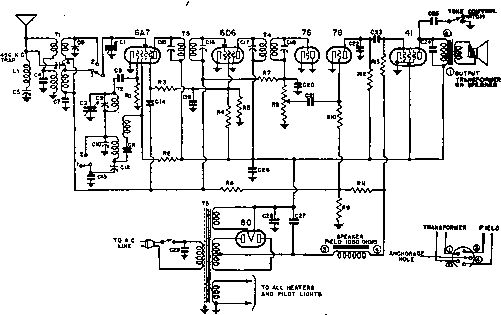 SEE ENCtRtLEO "UMBERS ON SCHEMATIC FOR CONNECTION*. Fig. 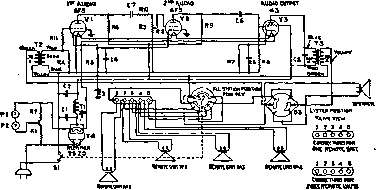 2.—Schematic wiring diagram of a 6-tube o.e. 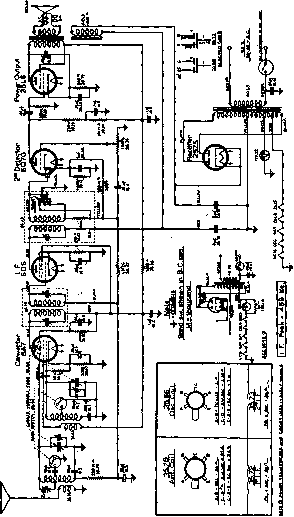 dual-wave superheterodyne receiver- (Emerson Models, AR-171, AR-173, AR-174, AR-176, AR-180, AR-185, AT-170, AT-172, AT-181) i.f. peaked at 456 kilocycles. Voltage rating 105-126 volts o.e. Power consumption 55 watts. Frequency ranges 540 to 1,730 kilocycles and 5.6 to 18 megacycles. Fig. 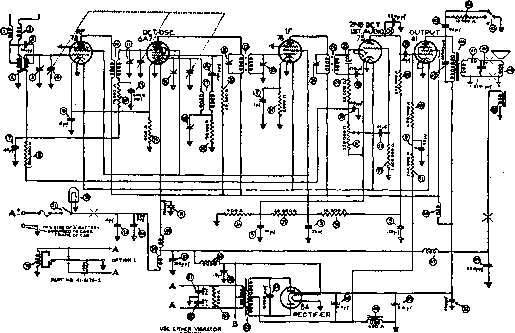 4.—Circuit diagram of a 5-tube, 2-band a.c. superheterodyne receiver. R.C.A. Victor Model 5T1. 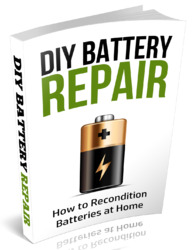 Its design includes magnetic-core adjusted i.f. transformers and wave-trap; aural-compensated volume control; two-point high frequency tor« .control; automatic volume control; resistance coupled audio system; phonograph terminal board; and a six-inch, dust-proof, electro-dynamic loudspeaker. 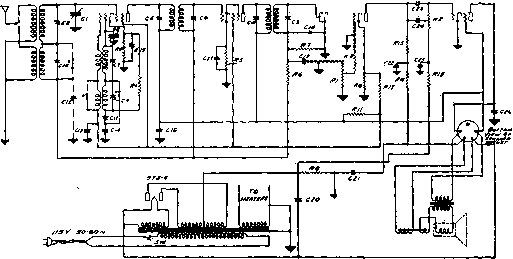 Frequency ranges: "Standard broadcast" 540—1,820 kilocycles. Short wave—1,820-6,600 kilocycles. Fig. 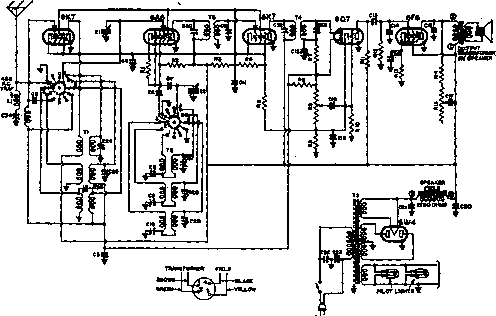 5.—Schematic circuit diagram of a 6-tube superheterodyne, 3-band radio receiver. (Zenith Models, 6-S-203,6-S-222,6S-223, 6S-229, 6S-239, 6S-241.) I.f. frequency, 456 kilocycles. In locations subject to code interference adjust wave trap marked (E) for minimum interference with antenna connected and receiver operating in broadcast band. Line voltage 117 volts, a.c. 50 to 60 cycles. Power consumption 65 watts. Fig. 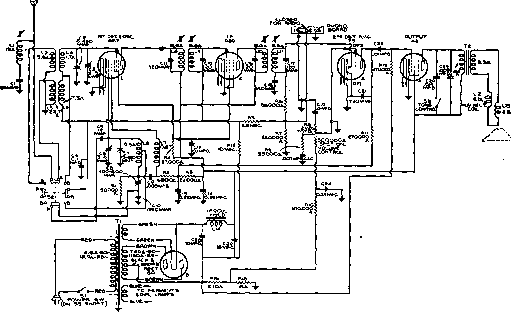 6.—Schematic wiring diagram of a 6-tube automobile radio receiver. (Philco-Nash N-1434-H.) The speaker of the elec-trodynamic type is designed for mounting on a frame in the center above the windshield. For installation of the receiver mounting holes are provided in the left hand side of the dash. Since all late cars have an all-metal roof it is necessary to install either a cowl extension »ntenna or an under the car antenna. The under car antenna is installed beneath the running boards.